Catholic Funeral & Cemetery Services of the Diocese of Sacramento (CFCS ) is here to guide you in making informed decisions at a difficult time. As a ministry serving the community, we pride ourselves on providing quality services and personal attention to all families. We offer affordable, traditional and unique options, ensuring that the services chosen represent the life lived. Our highly-trained, professional team is here to help guide you and your family in creating a meaningful ceremony to honor the life and memory of your loved one.We believe that every life is precious, and that the death of a loved one is a time for family, friends and community to come together for support and commemoration. 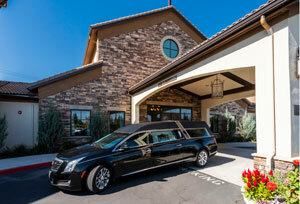 We are a full-service funeral home, meeting the needs of every family with personal and professional attention. We proudly exceed the expectations of our families and serve them with compassion, respect, honesty, and integrity. Available 24-hours a day to immediately respond when a death occurs. Meet with survivors and assist in funeral plans. Arrange the embalming, sanitary washing, dressing, cosmetology, hairdressing, and restoration (if required) of the body. Handle administrative matters such as filing the death certificate, publishing death notices and obituaries, files death claim benefits. Provide funeral products, such as caskets, vaults, urns, memorial chests, etc. Provide stationery products such as guest register books, memorial folders, prayer cards, acknowledgement cards, etc. Coordinate plans with clergy and parish. Provide transportation for deceased and family members. Secure facilities for visitations and services. Hello secure music, flowers, and other elements of the funeral. Supervise visitations, funeral ceremonies and processions.